Disclosure: This post may contain affiliate links. Visit my affiliate disclosure page for more information. In most cases when you want to sell physical goods online, you are the one that must set up your store regardless of which eCommerce software that you use. That is unless you outsource the work to someone else. If you have a lot of products that you want to place in your store, it is a really time-consuming process. The same is true for dropshipping. The last thing you want to do is import a bunch of products that you have done zero research on in terms of figuring out if they are good sellers. This is why a ready made dropshipping store can make a big difference and put you ahead as a store owner. 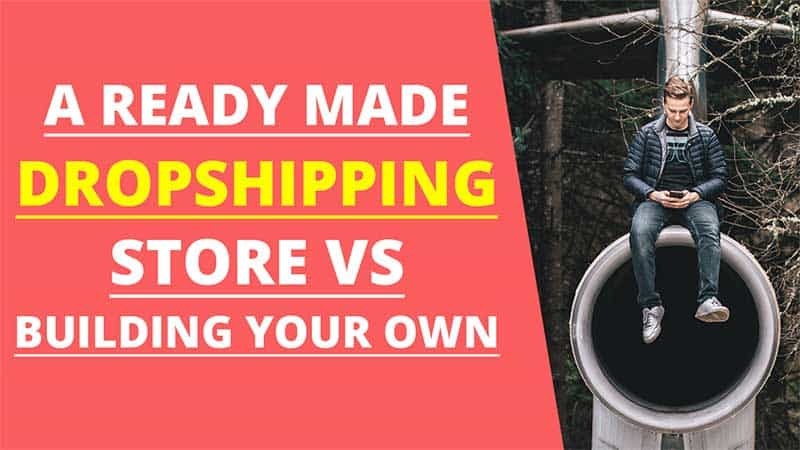 Why Even Consider a Ready Made Dropshipping Store When You Can Do It Yourself? There are a variety of shopping carts and dropshipping specific software that enables anyone to create their own dropshipping store. I have even written about creating a free dropshipping store using WooCommerce. Although these various tools and software make it easy for anyone to get started, there are many things that a ready made dropshipping store service can do that you may not do for yourself. You may already have an idea about what you want to sell which is great. However, there are many that are new to dropshipping that have no idea what to sell. Even if you do know what you want to sell, have you done any niche market research? This is important so that your store has the best chance of making consistent sales. You can test your niche using this free test your niche tool. Some people have never had their own website let alone a dropshipping store. If that is you, you probably have no idea how to register a domain name and obtain web hosting. A custom dropshipping store service can handle those details for you. Part of owning your own dropship store has to do with branding. You want customers to know that your store is the go-to shop for whatever it is that you’re selling. Part of that is standing out with a custom logo, supporting graphics, and colors. A quality custom store service will ensure that only the best selling products are imported into your store. Beware of a service that claims to have your store ready in 24 hours or less. Chances are they are doing a bulk import of random products into your store. The phrase, “you get what you pay for“, couldn’t ring truer than when it comes to custom dropshipping store services. I have done a bit of research on what is available and while some services are fair, none of them matched what is offered by AliDropship. For example, here is a comparison I did of WooDropship vs AliDropship custom stores. Here is another comparing Dropship Rocket vs AliDropship. What stood out for me the most is that AliDropship provides you with your own personal manager no matter which custom store package that you choose. This person handles all aspects of your store’s buildout and is there for you for any questions, suggestions, or comments that you have concerning your store. Another thing that I noticed when doing my research of ready made dropshipping stores is that many of the services promised to have your store ready in 24 to 48 hours. AlDropship’s custom store service takes anywhere from 10 to 23 business days depending on the package that you choose. You Have Your Custom Store – Now What? It is exciting times to have your very own dropshipping store up and running—but what happens next? Dropshipping doesn’t require any experience but you are going to have to learn how to promote your business. This is another plus with AliDropship. They are all about helping dropshippers succeed. They operate their own set of dropshipping stores and are experts when it comes to earning a consistent monthly income. They have stores that earn well into 5-figures per month in sales. Best of all, they provide a ton of marketing information for free! You can read and learn about dropshipping store promotion in the marketing tips section of their blog. But Won’t Building My Own Store Save Me Money? Of course, it will but as I mentioned above, will you take the time to do niche market research, product research, set up your payment gateways, customization, and more? Your personal manager will guide you through the entire process. He or she will assign you a Basecamp account (online project management software) which will enable you to meet the entire team of developers working on your store. You can ask questions and offer feedback anytime you want. Your personal manager will provide you with a questionnaire in order to provide helpful information in terms of your preferences or special requests you may have for your store. The AliDropship team of developers install WordPress and the AliDropship plugin. They set up your web hosting, payment gateways, register your domain, and more. Your personal manager will go over niche selection with you and if you do not have one picked out, their analysts will do the niche market research for you. They will select an in-demand niche based on current trends, SEO potential, and other general parameters. Unlike other custom dropshipping store services, the AliDropship team doesn’t bulk import random products into your store. They will research the most popular and highly demanded products. They will also set up the proper currency and markup formula for your product pricing. Once your theme is selected, the team will create custom graphics such as your logo, header images, and favicon. The team edits every product page they’ve added to your store to help get the highest possible conversion rates. They use SEO (search engine optimization) to help drive organic traffic to your store. Finally, they will create your store’s social media account pages so that you can promote your store on those platforms. It may be worth it to you to have your dropshipping store custom built. If you do not have the time, simply want your store built properly from the beginning, or want a completely hassle-free jumpstart into eCommerce, it is a great option. Hey there! My name is Eartha. I'm a full-time internet marketer. I created an online business to free myself from a 9-to-5. You can too! 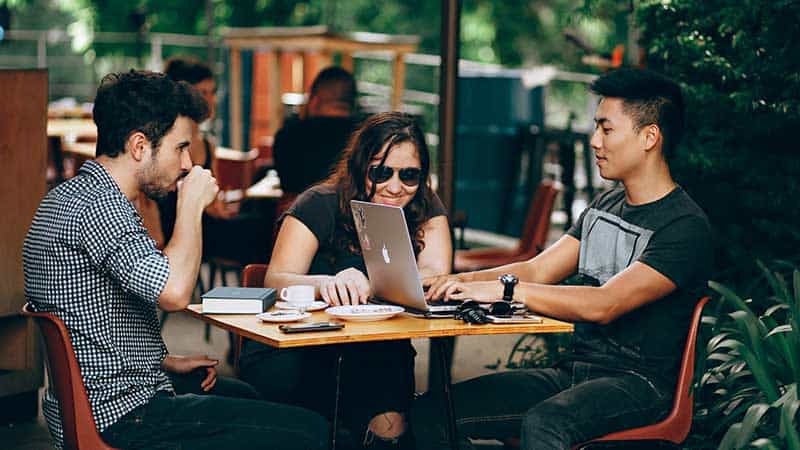 Is Starting a Social Media Marketing Agency All Hype or Worthwhile? WooCommerce Affiliate Store or WooCommerce Dropshipping? EarthaHaines.com is a participant in the Amazon Services LLC Associates Program, an affiliate advertising program designed to provide a means for sites to earn advertising fees by advertising and linking EarthaHaines.com to Amazon properties including, but not limited to, amazon.com, endless.com, myhabit.com, smallparts.com, or amazonwireless.com.